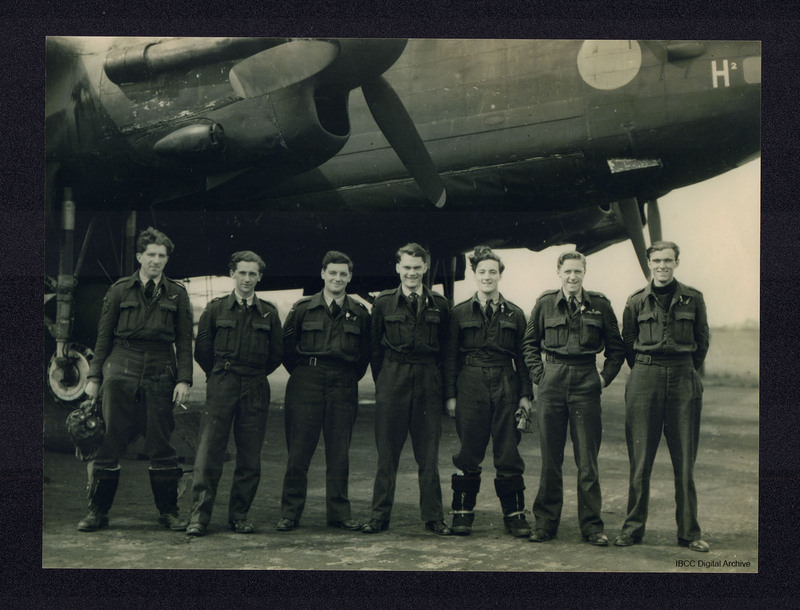 Seven aircrew, including Jeff Brown (second left), standing beneath a Lancaster on dispersal. One of them is smoking, and carrying a flying helmet. Two of them have flying boots. Five are sergeants. Two are pilots. The aircraft has H2 on the forward fuselage. “Seven aircrew beneath a Lancaster,” IBCC Digital Archive, accessed April 24, 2019, https://ibccdigitalarchive.lincoln.ac.uk/omeka/collections/document/16166.